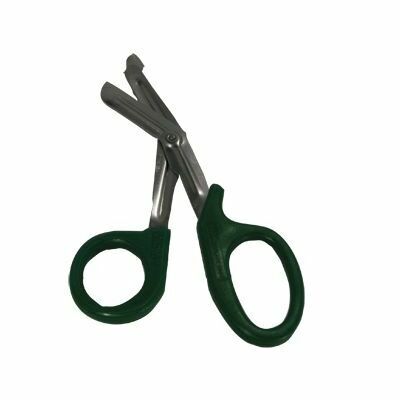 As part of our First Aid collection, these Tuff Cut Scissors are suitable for general purpose cutting. When incorporated into your emergencies kit, they can be used to help adjust bandages, tape and paper quickly and effectively. The stainless steel construction is both waterproof and durable with the ability to stay sharp for an extended period of time. They are finished off with plastic handles for a non-slip grip. These tuff cut scissors are a handy addition to your resources that are sure to come in handy on more than on occasion. If your business falls within the healthcare industry, consider adding items such as our Stethoscope or Crepe Bandage to your basket today. Tuff Cut Scissors Small 6"